But Tesla’s foray into solar is still new. When we hear the name ‘Tesla’ the first thing that comes to mind is the company’s line of cutting-edge electric cars. Let’s dig deeper into these EVs and compare your options. Which models are available in 2019? 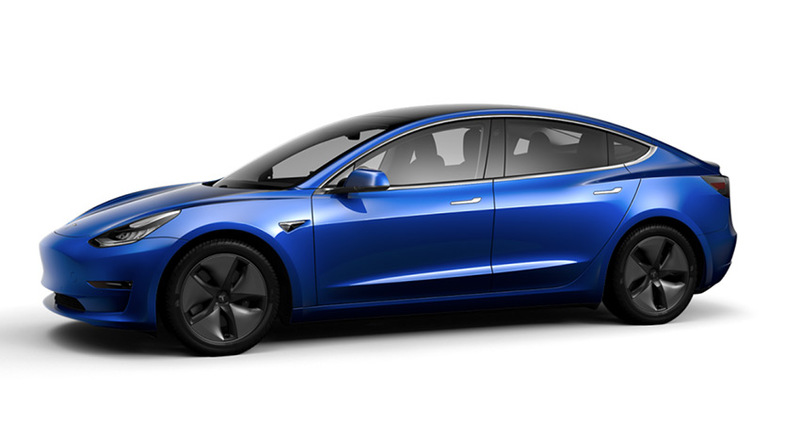 Model 3: The Model 3 is Tesla’s standard sedan. Depending on the option you choose, range varies between 220 miles and 325 miles on a full charge. Model X: The Model X is Tesla’s standard SUV. Options feature ranges of 289-295 mile on a full charge. Roadster: The Roadster is Tesla’s fastest, most efficient, and most expensive option. It’s range on a full charge is an astounding 620 miles. Tesla has also unveiled a new model, the Model Y. It’s a mid-sized electric SUV targeting the highly popular luxury crossover market. More expensive versions of the model are scheduled to be sold from late 2020 followed by the $39,000 base model from 2021. Of course, several of these models have upgrades and additional packages that extend their capabilities, but we’ll get into that in a moment. Before that, let’s look at the cost of Tesla vehicles in their most basic form. How much does each Tesla model cost? Each of Tesla’s vehicles comes in a few different versions, with upgrades that can drastically affect the price. It’s also important to note that in January 2019 Tesla made changes to the model configurations it offers. The 75kWh versions of the Model X and Model S were dropped altogether, and the names of remaining configurations were changed. At the same time, prices of the remaining Model X & Model S variants were reduced overall. Keep in mind that these are base prices for each model. There are several customizations available (such as the addition of the much-talked about Autopilot), which can bump the prices up further. On the other hand, there are applicable federal and state incentives that can knock a few thousand dollars off the price (more on that below). How long will I have to wait for my Tesla? This is the question on every Tesla fanatic’s mind: Once I make my reservation, how long will I wait? Unfortunately, Tesla has repeatedly stumbled in providing accurate timelines. Customers are given estimates based on the specific model and customizations they order, but due to Tesla’s numerous and well-publicized manufacturing difficulties, timetables often get pushed back—particularly with the Tesla Model 3. (At the time of writing, Tesla is failing to honour promised deliveries of the long-awaited $35,000 Model 3 price). Lucky shoppers will have to wait only a few weeks for their order to arrive, but those who order vehicles that misalign with Tesla’s production schedule will likely wait a few months. Where can I buy Tesla cars? Unlike other manufacturers, Tesla doesn’t sell vehicles through franchised dealerships. As new Teslas are made to order, you can’t just go out to the car store and buy one—you need to order through Tesla’s online portal. From there, your vehicle will be shipped to your nearest Tesla facility for pickup. Of course, used Teslas are an option too. If you aren’t picky about options or customizations, you can go online and look for second-hand vehicles that will be more affordable than those that come straight from the factory. For those interested in getting in on the EV action without paying a huge price tag, used Teslas are a great option. Your choice comes down to your needs. How much can you afford to spend? Will you be using your Tesla primarily for in-town/suburban driving or for long road trips? From what we’ve seen, consumers who have tried Tesla’s extended battery options enjoy how much distance they get between charges, but you’ll need to decide whether the bumped-up price tag justifies this benefit. Those just getting into the EV market will likely do fine with basic features, but if you have a little extra money to spend, you can really crank up the customizations to make your ride as comfortable as possible. Are there any incentives for buying EVs? Just like with residential solar, the purchase of your Tesla (or any other all-electric vehicle) may be eligible for some nice bonuses. Plug-in vehicles are eligible for federal tax credits of up to $7,500 depending on the battery size. However, in 2018 Tesla hit the government-mandated quota of cars (200,000 per manufacturer) eligible for the full amount. The incentive is now being phased out for Tesla vehicles. Until June 30, 2019, a credit of $3,750 is available, which will reduce further to just $1,875 for deliveries between July 1 to December 31, 2019. There will be federal tax credits available on Tesla EVs after that. Your electric utility company may offer time-of-use discounts that lower the cost of charging your vehicle. Some car insurance providers offer discounts on your premium for owning an electric vehicle. Check for state-by-state incentives. Some states, such as California, Arizona, or Colorado offer great incentives to EV drivers. How much could you save with solar panels?